The California Department of Corrections and Rehabilitation (CDCR) is the world’s largest correctional employer. The CDCR team is comprised of more than 60,000 dedicated employees, working at 35 different institutions throughout California. We enhance public safety through safe and secure incarceration of offenders, effective parole supervision, and rehabilitation strategies to successfully reintegrate offenders into our communities. Becoming a Correctional Peace Officer with CDCR means you are joining a family of dedicated, hardworking women and men responsible for ensuring public safety throughout California. Correctional Officers are eligible for promotion after successfully completing their two-year apprenticeship program and promotional exam. 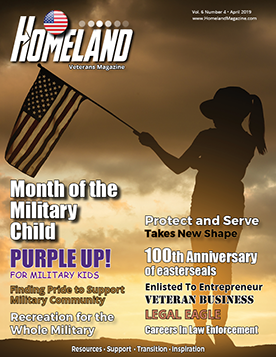 Examples of promotional opportunities: Sergeant, Lieutenant, Captain, Correctional Counselor, Parole Agent, Special Agent-Office of Internal Affairs, Fugitive Apprehension Team, Investigation Unit, Fire Captain, and more. The endless opportunities within CDCR can change your life as it provides an avenue for upward mobility, and secures a FUTURE for you and your family. Only you can choose your path, and only you can make it happen. · CalPERS retirement, 2.5% at 57 years of age. A 13-week comprehensive training academy is required prior to appointment at the Basic Correctional Officer Academy in Galt, CA (Salary during academy: $20.82 per hour). 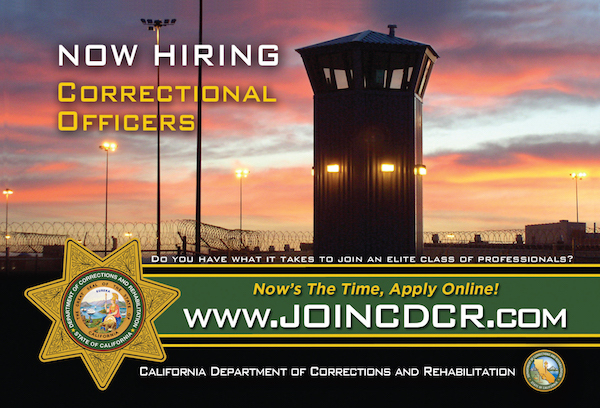 Now’s the time, apply online at www.joincdcr.com or contact us at 1 (866) 232-JOBS or recruit@cdcr.ca.gov.